Episode 32: Do Book Awards Help to Sell More Books? Having your book nominated for or winning an award is a wonderful opportunity for any author. While you might have high hopes of increased book sales following the accolade, those sales may not come quite so easily. In today’s episode, author Amy Murphy talks about her experience having her books nominated for the 2016 Dragon Award and how it affected her book sales, but more importantly, the other opportunities that came from earning the award. Applying for many awards is similar to applying for a scholarship in high school. It’s something the author has to be proactive about. Awards aren’t just handed out. It will benefit you to find awards in your genre and submit applications for them. But what should you do once you are nominated? Well, you can’t sit back and wait for your book to fly off the shelves. As we talked about in the previous episode Amy was a guest on, having an email list is important for situations such as this, when you want to get out the word of your success and any calls to action you may need from the people on your email list. Another thing Amy did was she changed her book covers to reflect her nomination (but not until finding out if she was indeed a nominee or a winner). Having that award listed on the cover, as well as in the author’s bio and book descriptions, may catch a reader’s eye. 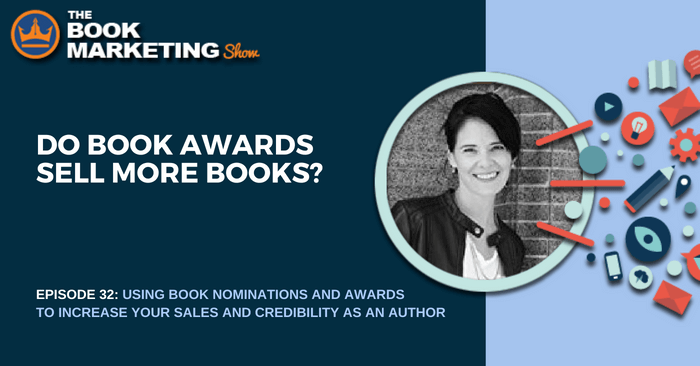 Most of the awards for books won’t necessarily help authors make long-term growth, but they may be able to help with networking and growing your reach as an author with other authors. When Amy was nominated for her award, she was able to gain access to email and Facebook groups to help her network with other authors and their email lists. One more benefit of being nominated for an award is the credibility that comes with it, which can help an author who may be looking for get into traditional publishing or trying to hook a literary agent. 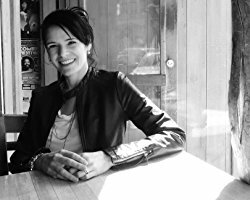 Amy J. Murphy is a sci-fi author and a finalist for the 2016 Dragon Award for Best Military Science Fiction or Fantasy Novel. She is also a Semi-Finalist in the Kindle Book Awards in the Science Fiction category. While not attending sci-fi conventions, she lives in Vermont with her husband and two dogs.